Although he has missed significant time due to injuries, Mookie Betts has had a phenomenal season. As of June 18th, he is batting .340/.419/.699 with 18 HR, 38 RBI, and 13 stolen bases. As his stats show, he is a speedy, consistent leadoff hitter who hits home runs. With stats like his, many have argued that he belongs in the middle of the line-up as he has nearly made the 30-30 club in each of the last two years. Despite their speed, most 30-30 hitters of the past did not lead off. Instead, they have been middle of the line-up threats. 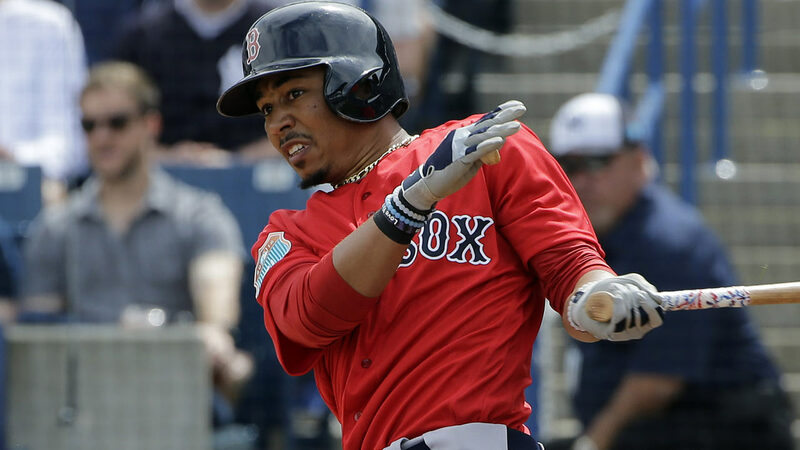 Alex Cora has said time and time again that Betts is his leadoff hitter and I think there is evidence to support the Sox rookie manager’s decision and it goes beyond the Sox best start in years. Betts has hit 3 leadoff homers just this year (13 in his career). He also bats in consecutive innings or twice in an inning very often. And the more at-bats he gets, the more chances to help the Sox potent offense get going whether it is the start of the game or in later innings. Read below for some more compelling stats that support the decision to keep Betts leading off. 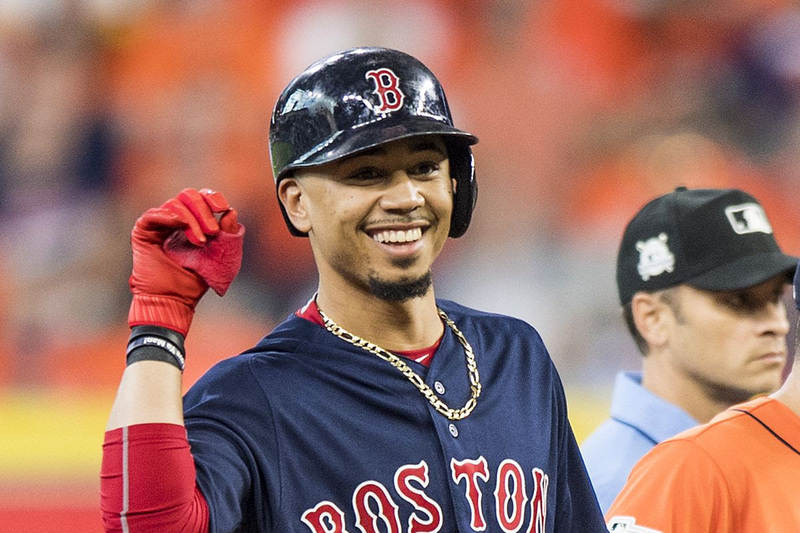 As much as the Red Sox would benefit from having Betts batting before J.D. Martinez, creating a 1-2 punch, I think the data shows it’s been plenty beneficial to keep Betts in the leadoff spot. Even with the bases empty at the start of the game or after our weak end of the lineup struggles, Betts manages to come through. He has hit 13 career leadoff home runs and would not bat in consecutive innings this often if he wasn’t leading off. 33% of his consecutive inning at-bats have started in the 1st inning. The only major downside of keeping him in the leadoff spot is that with the 7th, 8th, and 9th batters struggling, he has fewer RBI opportunities. If the Sox find a way to get another bat or the bottom of the order heats up, that will change. Another option is if Dustin Pedroia can return to his old self, it will help make 1 through 9 stronger like the Yankees potent offense. Either way, it’s hard to argue with the success the Sox line-up has had with Mookie at the top. The Sox have plenty of speed in their line-up and super utility man Brock Holt 9th could bat 9th to give them a second lead-off. Holt has been doing well this season, while the more frequent bottom of the order consisting of Jackie Bradley Jr. (another good 9 option when hitting better), Sandy Leon, and Christian Vazquez have struggled to the point where none of them are batting .250 or higher. Trying Holt or Pedroia in the nine-hole could potentially get Betts some runners in scoring position when he comes up, which should make him perform even better. 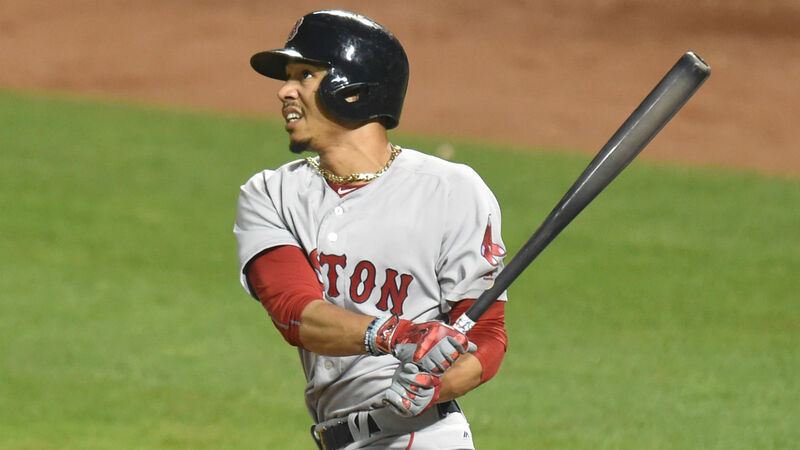 Betts is batting .353 with runners in scoring position this year, but only 34 of his 209 at-bats (16.3%) have been with runners in scoring position. That just shows how desperately Betts needs some end of the lineup support and how Betts’ home runs have helped his RBI total of 38. The Red Sox have a top-heavy lineup. 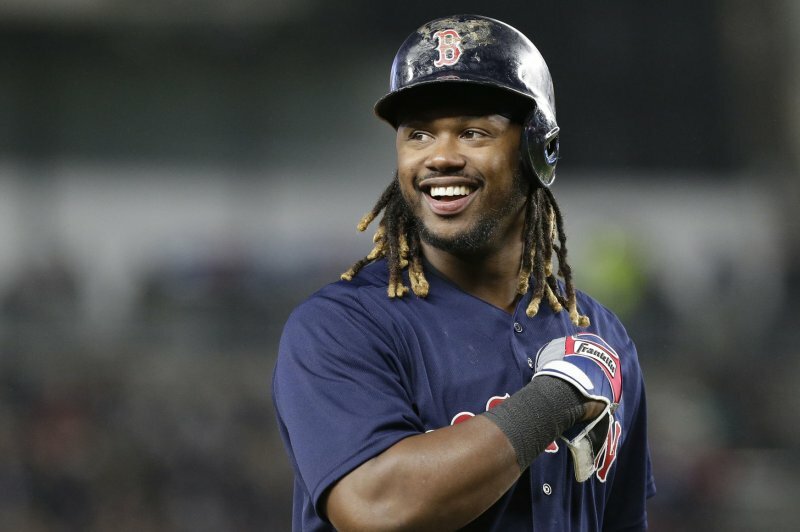 They have not shown signs that they are already missing Hanley Ramirez but will they need to add another hitter in order to contend in the playoffs? If the Sox 7-8-9 hitters keep struggling as we get closer to the July 31st trading deadline, it will be something the Sox will have to consider. I hope they heat up but if not, expect to see a post from me on potential additions either by trade or internal or both. After a 7-1 start to the season for the Red Sox, things were not looking good for them today. They were down 7-2 heading into the 8th inning, as the Rays had scored at least one run in six straight innings. Eduardo Rodriguez had been knocked out of the game after 3.2 innings, forcing the Red Sox to use numerous relievers to finish off the game. The bullpen struggled as Hector Velazquez, Bobby Poyner, and Brian Johnson gave up four runs in 3 1/3 innings But the Red Sox came all the way back to beat the Tampa Bay Rays 8-7 and extend their winning streak to eight games. Hanley Ramirez and Mookie Betts extended their hitting streaks to 7 games each, as they led the Sox offense. The Red Sox started off strong with a leadoff double by Mookie Betts, and Betts was driven in by Hanley Ramirez’s groundout. But the Rays struck back quickly, with DH C.J. Cron hitting a solo homer. Early on, Eduardo Rodriguez was doing well, striking out five batters, including the side in the 1st inning. But the Rays were working the count and and E-Rod’s was over 70 after three innings. While the Rays were not crushing the ball after Cron’s home run, they scored one run every inning from the 2nd all the way to the 7th. In the 3rd inning, E-Rod gave up a walk followed by a infield single that was originally ruled an out. Matt Duffy was clearly safe, so it was a smart challenge by the Rays. The run scored on a double by Carlos Gomez. In the 4th inning, Daniel Robertson reached on another infield single for the Rays. 3B Rafael Devers could not make the throw in time. That was followed by a Brad Miller walk, and Adeiny Hechavarria drove in the run with a bloop single that Andrew Benintendi couldn’t quite get to. The Rays were trying to continue the rally, as Matt Duffy singled again after E-Rod left the game, but Hector Velazquez came in to get the last out. Velazquez gave up a run in the next inning, as Daniel Robertson singled, stole second, and came home on Brad Miller’s base hit. The Sox chipped away in the bottom of that inning. They loaded the bases after a walk, a Christian Vazquez single, and another walk. Rays reliever Ryan Yarbrough had come in to replace Andrew Kittredge after two innings. Today, the Rays reliever combo to start was game was able to hold the Sox to just two runs through six innings, but it was not easy. With two outs in the fifth, Hanley Ramirez ripped an infield single that Adeiny Hechavarria snagged to save more runs from scoring. J.D. Martinez followed, but struck out with the bases loaded. Martinez was the only Sox starter without a hit, but that did not keep the Sox from winning. The Rays scored again in the 6th after Kevin Kiermaier hit a triple off the Green Monster to drive in Matt Duffy, who had walked. Kiermaier hit the triple off of Bobby Poyner, but Velazquez was charged with the run as he had walked Duffy before leaving the game. Brian Johnson came in in the 7th and struggled, giving up two more runs. Daniel Robertson walked, and came home on a triple by pinch hitter Joey Wendle. On that play, Xander Bogaerts hurt his ankle as he had to chase the ball into the Rays dugout after throwing to third before Devers was there. He will be evaluated further on Monday, but his timetable is currently unknown. Bogaerts was helped off the field, and it was really concerning when he couldn’t leave without assistance because he has been Boston’s best hitter so far this season. Brock Holt came in to replace him. Tampa scored their second run of the inning off Johnson after a sac fly drove in Wendle. The Sox failed to get things going in the bottom of the 7th, but after Carson Smith came into the game, the Rays failed to score another run. They loaded the bases after a walk, a Carlos Gomez single, and a walk. But Smith escaped the inning by striking out Daniel Robertson. This looked like it was going to be a Rays win, as after Hanley Ramirez led things off with a single and advanced to second on a wild pitch, the next two batters struck out and flew out. But with two outs, Mitch Moreland, who was a doubles machine last year, hit his first double (and hit) of 2018, driving in Ramirez to make it 7-3 Rays. Eduardo Nunez singled and Moreland advanced to third. Rafael Devers then knocked a ball down the third base line that bounced off the left field garage, allowing both Moreland and Nunez to score. With that, Rays reliever Matt Andriese was done, and Rays closer Alex Colome came in, hoping to secure the 7-5 lead the Rays were still holding on to. The Red Sox had done well against Colome in the home opener. Just in case the rally continued, Cora got star closer Craig Kimbrel warming up in the bullpen next to Joe Kelly. Christian Vazquez kept the rally alive with a base hit. Devers scored, making it 7-6 Red Sox. Vazquez advanced to second on another wild pitch. Mookie Betts tied it up with a line single to left as Vazquez came in to score with a nifty slide to avoid the tag. Andrew Benintendi kept the rally alive by doubling to the left field gap to drive in Betts. The outfielders were playing shallow as Benny’s double did not reach the Green Monster. It was now 8-7 Red Sox. 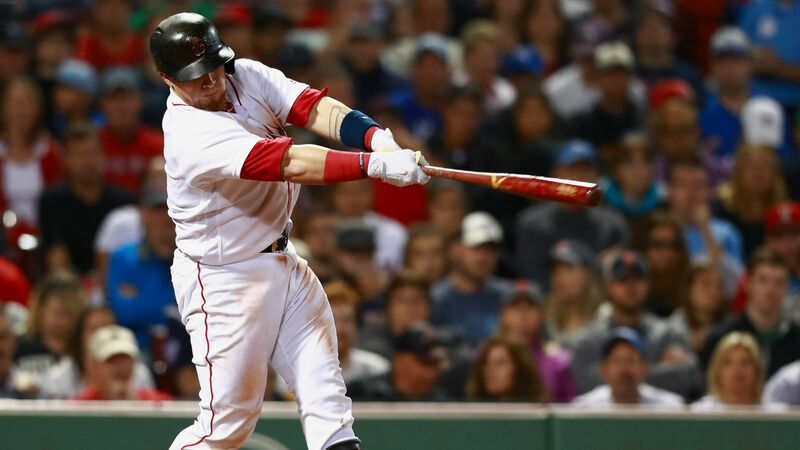 Kimbrel came in and quickly retired the side, as the Red Sox locked up their comeback victory, 8-7. This was by far their most exciting game of the season. The Sox faced easy opponents, but the Red Sox are now 8-1 to start the season, their best record ever after nine games. They had not even started 7-1 since 1904, a World Series-winning year. The Red Sox head into their three-game series against the Yankees on fire. Will they win their first series against their archrivals? The Yankees have been depleted by injuries, and are just 5-5 after losing to Baltimore today in a 12 inning game. With Gary Sanchez, Greg Bird, Brandon Drury, Aaron Hicks, Jacoby Ellsbury, C.C. Sabathia, and Billy McKinney all injured, the Sox should certainly have the edge. The Red Sox got a big win over the Detroit Tigers last night, blowing them out 10-2. Rick Porcello went 7 strong innings while Hanley and Pedey stayed hot and David Ortiz and JBJ jacked homers. The Red Sox started off the game with a 4 run, 2 dinger 1st inning. Xander Bogaerts showed signs of overcoming his slump as he started off the game with a base hit after Pedroia grounded out to second. Then David Ortiz crushed the ball high into right field. It was long gone, a no-doubter. Then after Betts flew out to right, Hanley Ramirez stayed hot since returning to the club with another base hit. JBJ then blasted one in the same direction as Ortiz’s for the 2nd HR of the inning. Red Sox took a 4-0 lead to start the game, very assuring after collapsing in the first game of the series. But the Tigers struck back in the 2nd and took advantage of Porcello’s weakness from 2015, giving up home runs. It would’ve been a solo shot but Porcello could not hang on to the throw to 1st and J.D. Martinez had himself a 2-run dinger. Later in the game J.D. Martinez lined a hit through Xander Bogaerts’ broken glove. 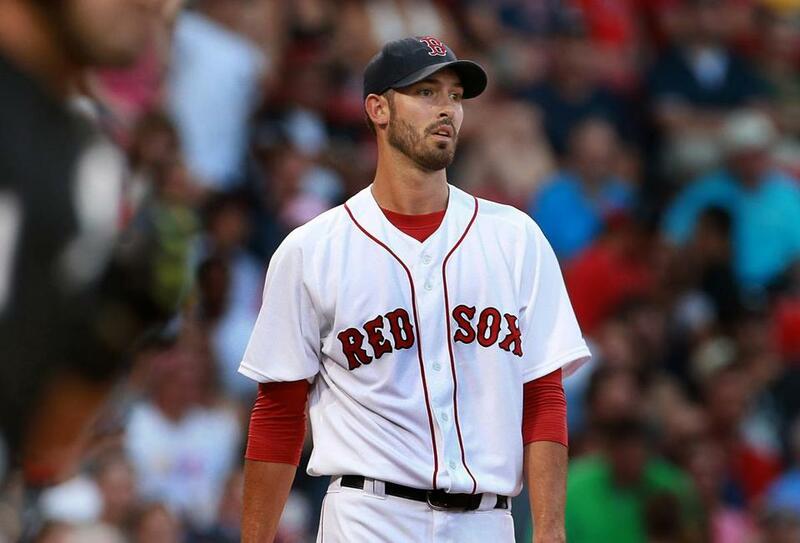 J. D. would go 2 for 3 on the day but he would account for half the hits Porcello gave up in 7 stellar innings. This was Porcello’s first start in Detroit since being traded for Yoenis Cespedes and he showed he was comfortable at Comerica after all those years with the Tigers, who also have a lot of former Red Sox on their roster. The Tigers threatened only one more time and had 1st and 2nd in the 4th but former Sox’ catcher Jarrod Saltalamacchia failed to extend a potential 2-out rally. Bogaerts got another hit in the 5th and after an Ortiz walk, the Red Sox had a scoring opportunity of their own. But Mookie Betts grounded into a force out. I don’t think Betts was at fault though. Miguel Cabrera robbed what could have been a nice hit for Andrew Benintendi, who has already been electric in Boston. It was 4-2 Red Sox. Would they hold on? Oh yeah they did! They dropped 6 more runs on the board! Three innings in a row they scored a pair of runs. In the 6th, the middle of the Sox lineup was shut down. But with two outs in the inning and the bases empty, Sandy Leon came up to bat. With four dingers in the 10 games prior to this, Leon was in good shape for a clutch hit. He cracked an infield single on a low pitch. Then up came Brock Holt. Holt hit another one up the middle. The Sox had first and second with Andrew Benintendi up, looking for revenge after Miguel Cabrera robbed his first potential hit. He came through with a bloop single up the middle to score the inning’s 1st run. Then Pedey came up with 1st and 3rd. Ian Kinsler was covering second as Benintendi ran with the pitch, opening a whole for Pedroia to knock one between first and second right where Kinsler had been positioned. That allowed another Sox run and knocked Michael Fulmer out of the game! He was fresh off a complete game against the AL leading Rangers but today he gave up 6 runs in 5.2 innings against the feisty Sox lineup! The Sox kept it up in the 7th. David Ortiz got on for the third time as he punched a big single to right. Mookie Betts got his first hit, a line drive single into left just above Erick Aybar. 1st and 2nd for Hanley Ramirez. Ramirez knocked a double high up into right. The opposite-field hit was in the gap allowing both Ortiz and Betts to score and it was 8-2 Red Sox. The Red Sox struck again in the 8th! Andrew Benintendi drove a change-up into right for a stand-up double to start the inning. Pedroia followed with an infield single, his second hit of the day. He stayed hot riding a 10-game hitting streak. He may not like hitting lead off but he sure is good at it. 1st and 2nd for Bogaerts, who was heading in the opposite direction until a multi-hit game tonight. The center fielder caught his fly ball but Benintendi advanced to third. Up came Travis Shaw who was hitting for David Ortiz and he walked. Later Hanley Ramirez did it again, ripping a 2-run double to left. The Red Sox were on a roll. They were up 10-2 as the lineup was explosive, Porcello was dominant, and they even had a nice double play ball to end the 7th. It was Fireworks Night at Comerica but they might as well have canceled it because the Red Sox bats took care of that. The bullpen was even good. Fernando Abad pitched a 15 pitch inning in 9th inning garbage time. They shut the Tigers down and 10-2 was the final score. The Red Sox have two more crucial games against the Tigers. They will face Daniel Norris and Justin Verlander with Drew Pomeranz and Eduardo Rodriguez pitching for Boston. Will they win their way into playoff contention, or flop in the 2nd half of the trip? They are now only a half game out from Toronto. The Jays lost to Cleveland by late back to back homers, one outside the park and one for the first walk-off inside the park winning HR ever in MLB! The Red Sox are in good shape and I think they might surprise a lot of fans after 2 last place seasons. Stay tuned! Top of the 9th, 5-1 Sox. Lead off Mookie Betts up to bat, who was a homer shy of hitting for the cycle. He lines it into right, it gets past Springer, he’s going for two, he’s going for three! Could it be an inside-the-park home run to hit for the cycle?!!!! Mookie Betts had just hit a stand-up triple, almost an inside the park homer. With a strong outing by Steven Wright and a powerful lineup, especially the 1-3 hitters, the Red Sox topped the Astros 6-2 to start a 5 game road trip. They have two more games in Houston before heading to Atlanta. Mookie Betts was 4-5 with a double and two triples, one almost an inside the park home run that would give him the cycle. David Ortiz was also honored and received a cowboy hat as a gift from Minute Maid Park and the Houston Astros. 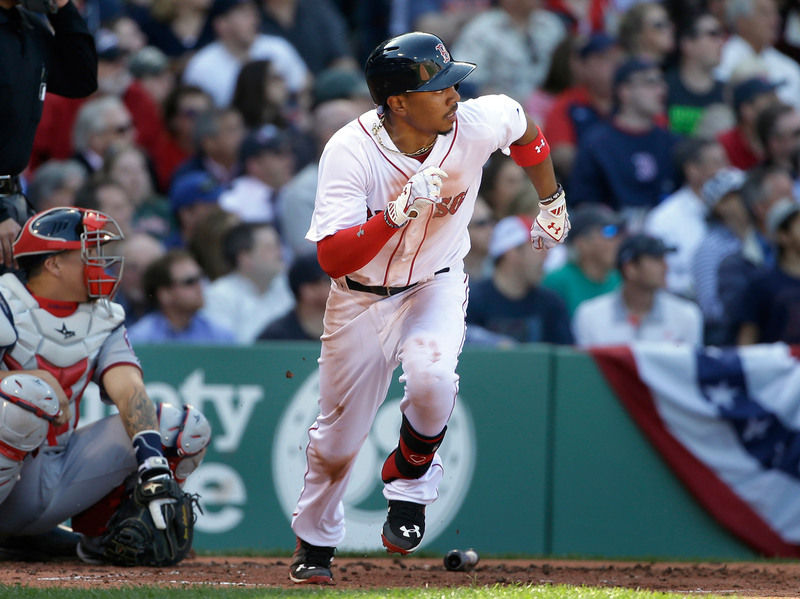 The Sox took right off in the 1st when Mookie Betts managed to turn a base hit into a triple. He was quickly driven in on Dustin Pedroia’s single. 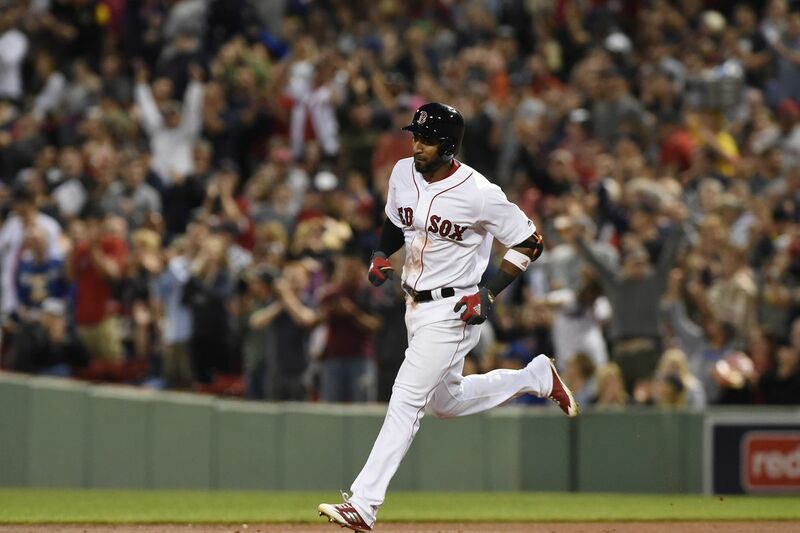 Xander Bogaerts kept it going on a base hit, and Bogaerts was driven in by Hanley Ramirez on a sac fly after a Big Papi walk that loaded the bases. It was just a few feet away from being a grand slam, but Colby Rasmus got it and the Sox were held to just 2 runs after all that. Collin McHugh got back in a jam when the top of the lineup struck again. 9th hitter Jackie Bradley Jr. got a double and Mookie Betts drove him in with a second double. 3-0 Red Sox. While Steven Wright had only given up two hits and let one runner past first base, the Red Sox continued to rally on. Hanley Ramirez got a line drive single up the middle and Travis Shaw got a base hit to sent him to third. A wild pitch by struggling McHugh sent Shaw to second. Brock Holt got the sharp RBI single to drive Hanley in, but Ryan Hanigan grounded into a double play to end the inning with a man on 3rd. What a rally! The next inning Mookie Betts got on base again, and Xander Bogaerts knocked an RBI double all the way down the third base line. After the inning, McHugh was taken out of the game. Reliever Chris Devenski gave up three hits over 2 innings, but no runs. The Red Sox had a lead secure however, winning 5-0. Tony Sipp got a 1-2-3 in the 7th, and Steven Wright gave up the first run on two walks and two passed balls by Ryan Hanigan. The Red Sox answered in the top of 9th when Mookie Betts hit his second triple, and he scored on a wild pitch. Xander Bogaerts was next hit by the pitch on the forearm and had to be pulled from the game. He is still on the active roster but not in today’s starting lineup. Chris Young pinch ran for Bogaerts. In the bottom of the 9th, Robbie Ross Jr. was in trouble. He gave up a single to Carlos Gomez and a walk to pinch hitter Jake Marisnick. George Springer knocked in a run on an RBI single to left and Ross came out of the game. Closer Craig Kimbrel secured the final out and got the save as the Red Sox came out victorious, taking down the ‘Stros by 4. The Red Sox play Game 2 in Houston today. Can they keep it going against the struggling Astros?